Understand quantitatively how these processes interact to create the contemporary, global carbon balance. Have improved your professional skills including critical reviewing of literature. 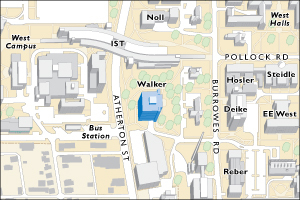 512 Walker Building, 814-863-8601, kjd10@psu.edu. Office hours: 9-10am Tuesday and 9-10am Friday. You are welcome to stop by my office outside of office hours, but to be sure that I will be available, email in advance. There are no formal prerequisites. A foundation in science and mathematics including comfort with calculus-based descriptions of environmental processes, and ability to perform numerical analyses with carbon cycle data and models is recommended. The course is intended primarily for graduate students in the College of Earth and Mineral Sciences or related fields. We also welcome advanced undergraduates from science or engineering majors. Classes will be a mixture of lectures, discussion, and student-led presentation of literature and research projects. Students should participate actively in class, complete assignments promptly, and ask questions when they have them. Students will be asked to lead discussions concerning current literature and take an active role in creating some of the experiments and exercises they pursue for the class. Readings will be taken from a variety of sources. Our primary means of supplying these readings will be the class web site. Experiments will be conducted using resources from around the university, depending on student interests. Assignments will include traditional problem sets, reading, literature reviews and independent projects or experiments. Proposal writing is also an option. Some instruction on professional reviewing and proposal writing will be included. Experiment/project (1 required) research experience in the field. Literature review (1 required) deeper exploration of current literature. Proposal hypothesis formulation, persuasive writing, literature review. One of the above will require in-class presentation, which will be integrated into the assessment. The assignment with a presentation will be worth 20% of the total grade. The other two will be worth 15% each. This may be modified as the semester progresses, but any modification will be done in consultation with the class.